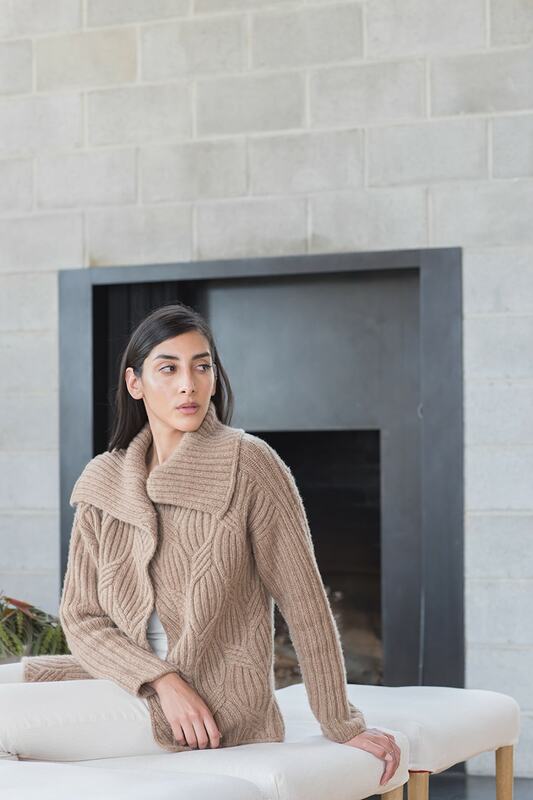 This wrapped cardigan with an overlapping front features a deep, fold-over collar and sweeping cables, can be worn open or belted. This cardigan is constructed in pieces from bottom up and seamed. The collar is worked from stitches held at the upper edge of each piece. Slip stitches purlwise unless otherwise noted.